When your parents are splitting up, you may find yourself feeling angry at them, yourself, others or just the whole situation. This is completely normal. A bit of anger is not a bad thing: it helps us to process how we are feeling. However, if you are finding yourself prone to violent outbursts, thinking about harming yourself (or others) and are often ‘losing control’, then you may need to dedicate some time to thinking about recognising and controlling your anger. This type of behaviour doesn’t help to make those angry feelings go away, and it can really upset others and yourself. But while exploding in a rage won’t do you or your parents any good, bottling up your anger isn’t a good thing either. 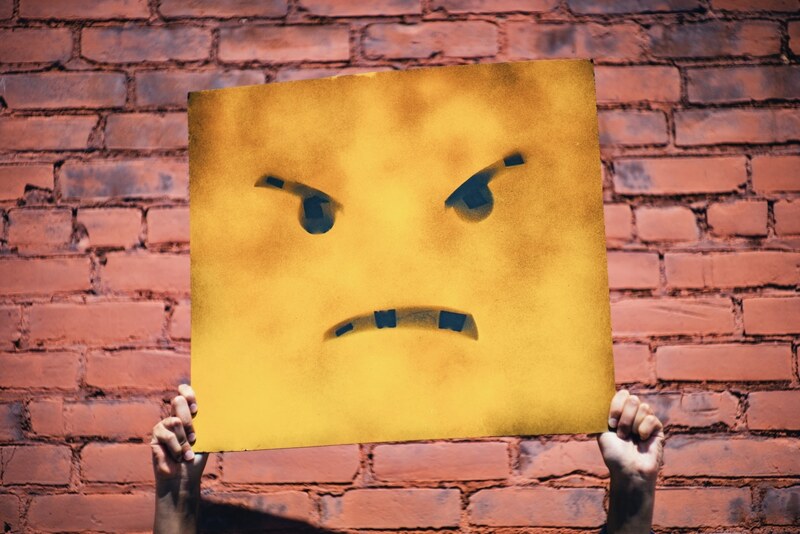 Let’s have a look at some of the ways you can express your anger in a healthy and helpful way. One of the reasons you may feel angry is because you feel you are not being listened to, or finding it hard to express your opinion. Another could be you that you feel someone is to blame, even yourself. If you are angry for any reason, talking to someone about how you are feeling and why will help you process your feelings. When you’re calm, why not try to write down your thoughts or practice what you want to say to someone. This someone can be your parents, friends, grandparents, someone at school or anyone else you can turn to. If you ever feel as though your anger is getting out of control, there are a few things you can try to calm down and think things through. Pause – If you feel like you are losing control, especially if you are with others and you may hurt someone, take a step back. Literally, stepping backwards will give you a pause and stop yourself from doing something you may regret. Breathe – Take a deep breathe in, counting to 10. Then out again, slowly. Focus on your breathing and repeat. This is a great way to get rid of tension. Find something soft – If you are still furious and feel like you will hit someone, find a pillow, cushion or anything soft and hit that instead. Don’t ever take your anger out on another person – it won’t help or make you feel any better. Why not try a few things that may help you process anger each day or week? Start a journal and write down your feelings. Remember to share these with someone, so you don’t bottle them. Take a walk outside. Give yourself space and time to think. Eat healthily and don’t skip meals. Don’t get hungry and angry! Take part in a sport or exercise. Vent your anger into something positive. If you need someone to talk with and would like support from our partners, The Mix, use this tool to find more content, a freephone helpline, online forums, apps and more: open tool. Use our Share Your Story tool to write down your thoughts and read about others feeling the same. If you feel that you want to end your life, please seek immediate help from the emergency services on 999. You can also contact HopeLine UK on 0800 068 41 41 or Samaritans on 116 123. If you are being abused you can contact ChildLine on 0800 1111 or Samaritans on 116 123.